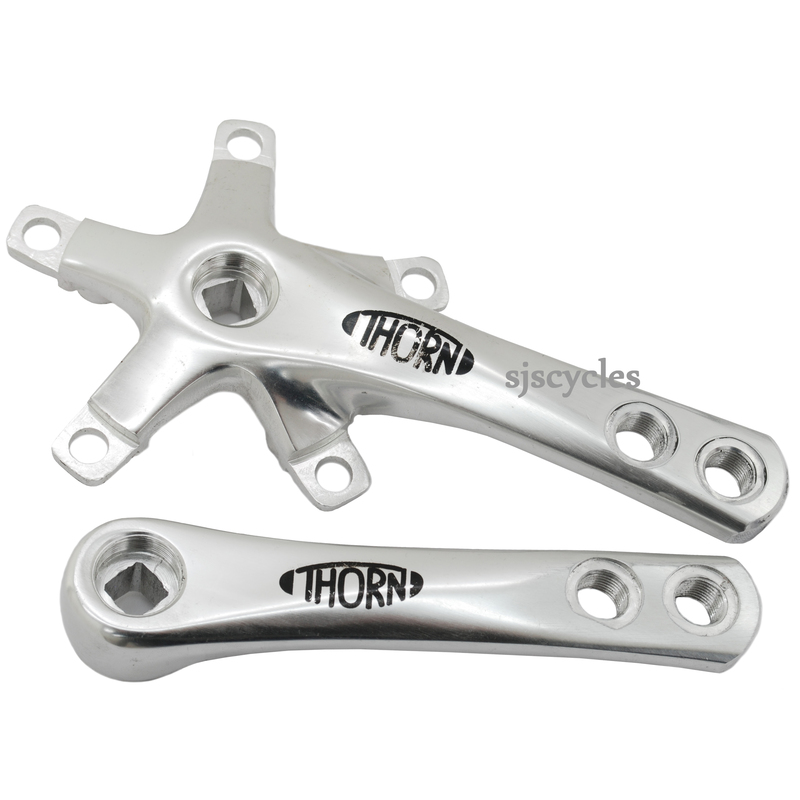 Silver double drilled Thorn crank arms. Diamond fitting, 5 arms. Sold as pair (left and right). Which way round are these drilled? Hi, Are these drilled for the plain crank on the left side of the bike and the spider on the usual drive side, or the other way round? I am after a pair of these, but need them to be drilled for the plain arm on the right and the spider on the timing chain side! These are set so the chain ring fittings are on the right hand side.